All Most all bloggers,webmasters and SEO professionals concentrated their attention and activities on Google only.There is no doubt in Google is the emperor of Search Engines but it is our mistake to forget other two major search engines in which it is needed to optimize blog or website.Yahoo and MSN also manages to get quite a good share of the market.MSN holds almost 12-17% of the online searches,and the loyal audience that it has got,cannot be challenged by other search engines.It is needed to optimize website or blog for MSN search engine.So,if any blogger or webmaster miss on MSN search engine optimization then really that is a great mistake obviously.However,it is important to remember that any one can easily get a higher page ranking for the less popular keywords as well in MSN.MSN and Bing search engine follow both kind of links that is nofollow or dofollow that way make both kind of commenting and Posting link for MSN search engine.Today I am going to describe the proper methods to optimize website or blog in MSN-BING.Here the ways to optimize any website or blog for MSN search Engine. It is mention that getting a top page rank in MSN does not make any sense if don’t have any rank in Google.The MSN algorithm works most similar to other search engine algorithms,and as such,in order to optimize any website or blog for MSN,it is needed to build a crawl able website.MSN algorithm still relies heavily on the use of Meta tags in site content,and it should be considered as an important attribute to optimize blog or website for MSN search with the right use of Meta tags.Needless to say, right use of relevant keywords is also the success contributor towards how to optimize blog or website for MSN search.10 Points For Professional Bloggers & Webmasters To Optimize Blog & Website In MSN Bing Search Engine. The first work to do while optimizing any blog or website for MSN search that it should be submit the website to the Live Search. 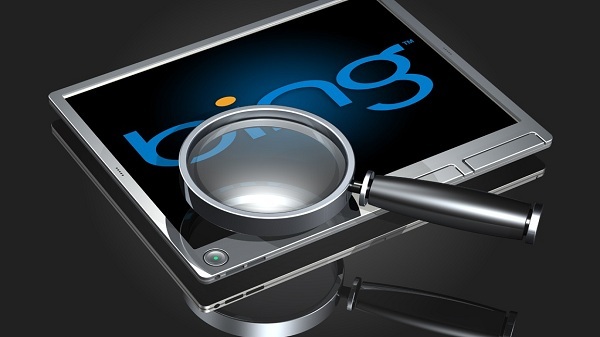 Get signed in with the MSN WEBMASTER TOOLS and this will help you to understand how your website is doing in the Live Search. Use with the preferred one and that is the MSNBot.It is quite a typical one with the description tag. Use with the proper and relevant description tags. Maintain overall keyword less than 6%.Choose domain name with a relevant keyword and try naming the pages as the domain name.It will get a topic with each page.Site linking should be done with the same things with the area and not with the things available with your products. The description tags should be placed with the top of the webpage. It be should use the keyword minimum for one time in the description tag. Make it sure that it serves a clear purpose with a topic. It should be added some website or blog description to the description tags. MSN recommends the hierarchy with the webpage to be flat. MSN will provide blog or website with the successful optimization methods via which it may easily analysis the factors. Traffic from search engines is widely considered the best(and cheapest)way to generate traffic to any site or blog.The increasing popularity of search engines has led to the development of a whole industry that revolves around ways to optimize websites or blogs.The total web copy of any page should be about 300-500 words.Also,the keyword should be included about 5-12% of the total words of the page.The percentage varies according to each search engine,so you might want to play around till find the best results in SERP. I am extremely inspired together with your writing talents as smartly as with the format in your weblog. Is that this a paid subject or did you customize it your self? Anyway stay up the nice high quality writing, it is rare to see a nice blog like this one these days..